I’ve tried to step up my protein intake recently, in the hopes that I might actually start to build a little muscle from my weight workouts. So, I’ve been eating a Pure Protein Bar after most of my workouts, as my breakfast. My favorite is, not surprisingly, the Peanut Butter Chocolate. 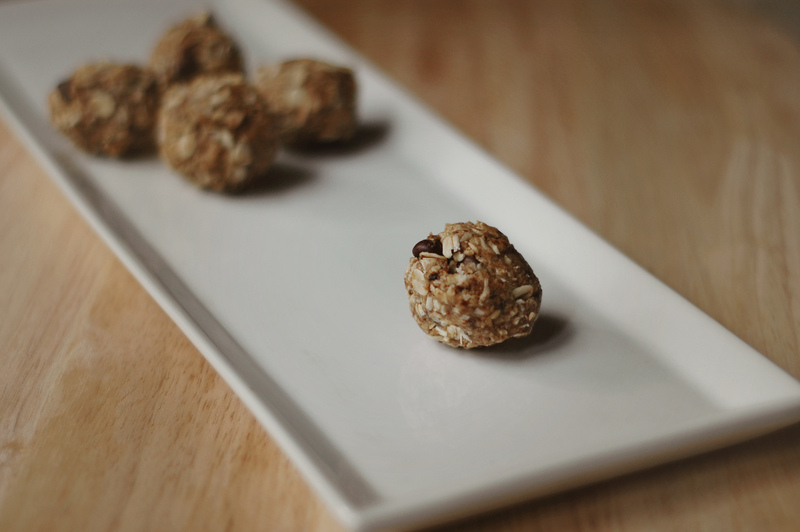 Add 1 cup oats, agave, peanut butter, and coconut to a large mixing bowl and set aside. Next, place dates, 1 cup rolled oats, and flax in food processor. Pulse ingredients until dates and oats are finely chopped. Add processed mixture to ingredients in the large mixing bowl and blend until combined. Finally, add chocolate chips and stir until well mixed. Refrigerate mixture for at least 30 minutes before scooping heaping teaspoonfuls into your hands to roll into small bites. Recipe yields approximately 18 bites. Store in an airtight container in the refrigerator for up to 2-3 weeks. Here’s the thing. They are delicious if you enjoy peanut butter and oats, but for what you are getting, they are way higher in fat and calories, while also way lower in protein, than the bars I was eating. So ultimately, I don’t think it’s worth it. Here is the side by side comparison. Final thought. Many of you might be saying, “well, there is health value in making something homemade, and knowing that it is not a processed food item.” Well it’s true, and I agree. But at the same time, I just can’t argue that a calorie is a calorie, and a gram of protein or fat is simply a gram of protein or fat. I also do not eat very many processed foods, beyond these protein bars, so I think I’m okay. Anyway, if you want to have a go at it, let me know if you come up with some creative ways to boost the protein and lower the calories / fat (yes, I know, you can get rid of the chocolate, but what else). Happy Tuesday!! 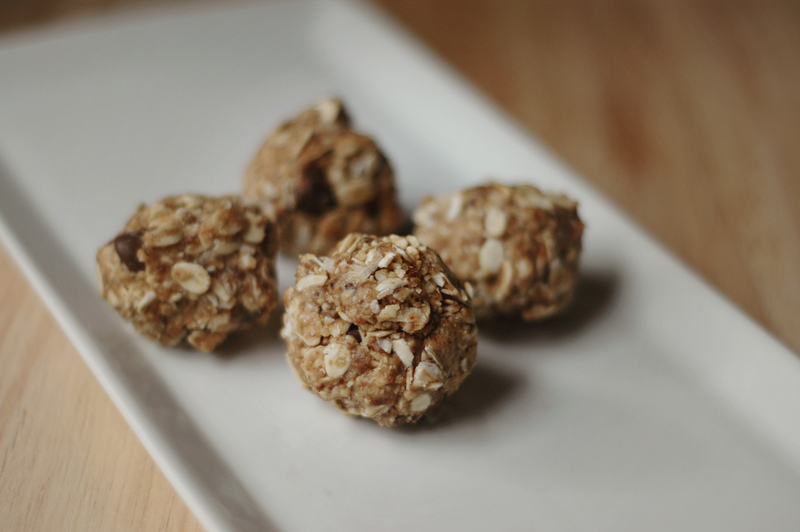 The stats on the homemade balls may not be perfect but they still seem like a simple fun way to get a little extra protein here and there. I’ll have to try a Pure Protein bar now!